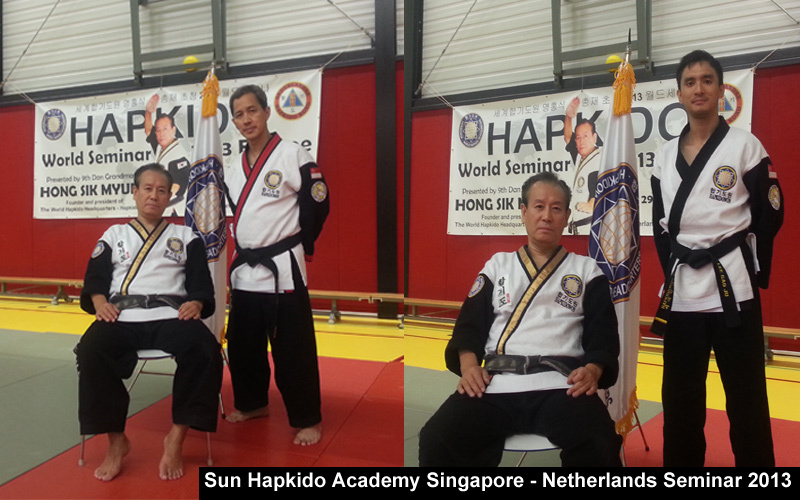 Those were the opening words by the generous and aspirational Grandmaster Hong Sik Myung (Founder and President – Hapkidowon – World Hapkido Headquarters) on 4th October 2014. Though I was sitting at the back of the room wearing a white belt, I suddenly felt very close to the Grandmaster with those words. 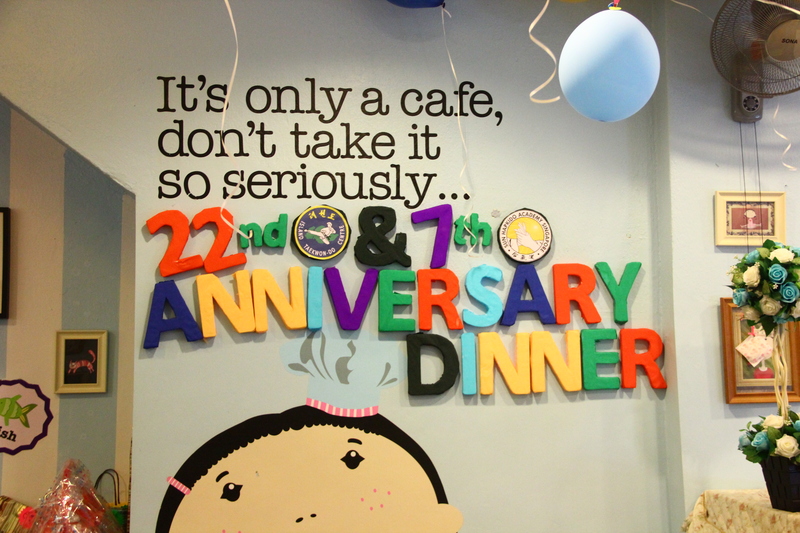 How accurately he had captured the essence that makes Sun Hapkido Academy Singapore the home to diligent, happy, and devoted students in those words! And these words were repeated by several other people over the two-day seminar because they are so very true. 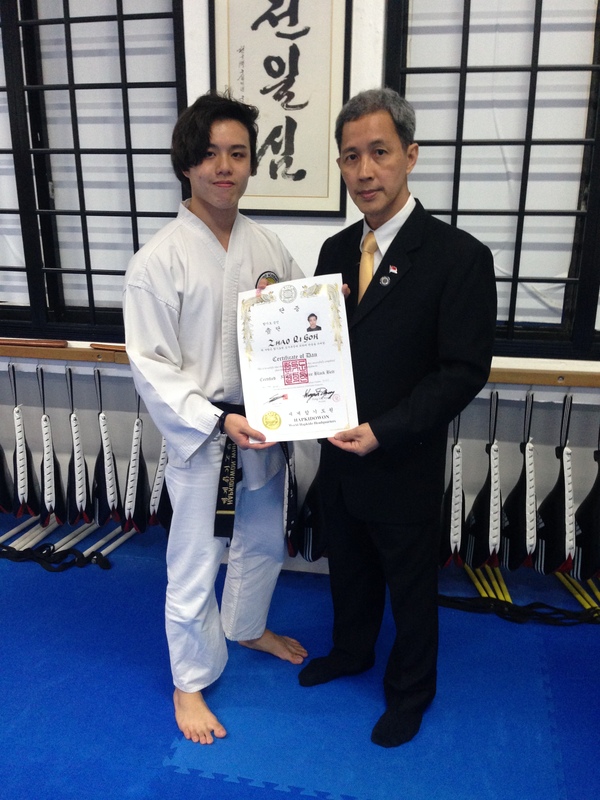 I personally decided to come to Singapore to learn Hapkido for the first time in my life because it felt right to do so. As the old adage goes: when the student is ready, a teacher appears. Master Sng recommends Hapkido to all Taekwon-Do students who have become black belts because he says that it complements what we are learning in Taekwon-Do so well. But until now, I have been so engrossed in Taekwon-Do because the more I learn, the less I seem to know. 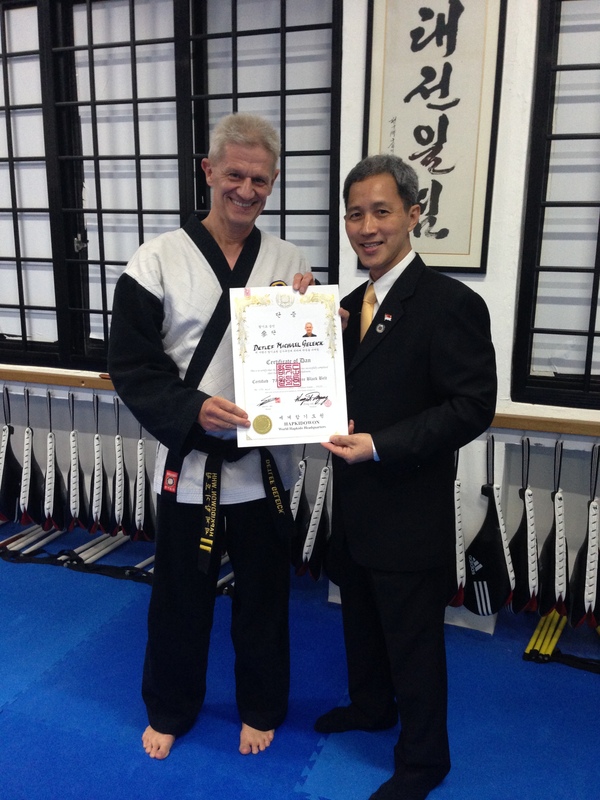 I am still completely fascinated by Taekwon-Do and the tenets are a way of life for me, but it felt right to be initiated into Hapkido at this time, and who better to do this than the Grandmaster himself? Mostly because I trust Sir so blindly and partly because I was too busy, I had arrived on 3rd October with no preparation other than two colour belt doboks and a white belt. Embarrassingly, I had not done any research in advance or any preparation except for having several late night chats online with Nonaka-san, who was as excited as I was to be attending the event. Not surprisingly, both he and I had decided separately that we would leave our black belts home. We were being initiated into a new martial art – how could we wear anything but white belts? On the morning of the first day, he put on a white belt for the first time in 20 years and I in 12. It was a liberating and refreshing feeling – to be a novice again; to be a blank sheet of paper ready to be marked. And I feel I have now been marked for life – the Grandmaster is amazingly inspiring. He managed to make a novice feel like she just may have a tiny bit of talent for the art! “Many martial arts use the clenched fist as a symbol – but not Hapkido. 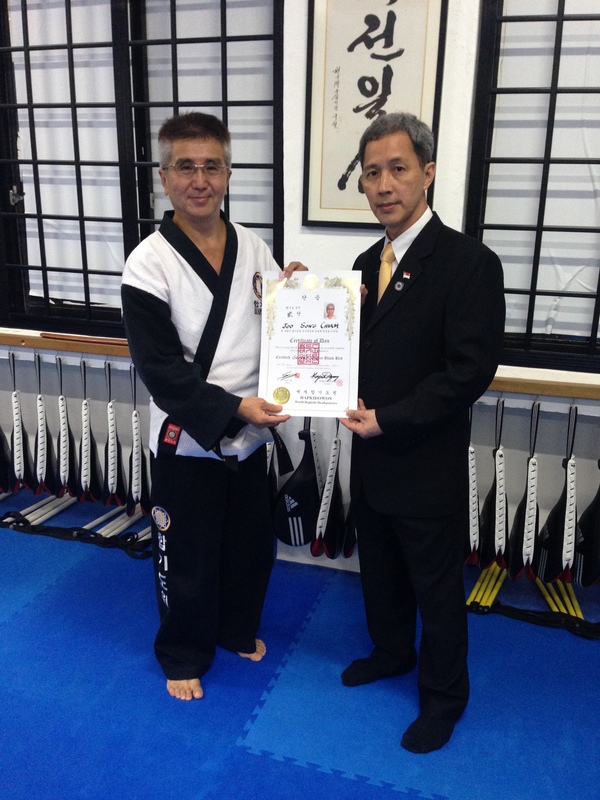 For Hapkido, the open hand represents its essence,” Grandmaster Myung explained. And from then on, for two days, whenever my hands were not in use and whenever I shouted to signal that I am ready, my fingers were extended and spread out straight – the total opposite of what we diligently do in Taekwon-Do. And true to those words, Grandmaster Hong Sik Myung embraced even the clumsiest white belt with equal generosity and extra patience, opening up and grasping our attention and focus as he guided us. It must be so much easier to say “you are doing everything wrong!” or “that is not what I showed you!” but instead, he would say, “here, grab my wrist/collar/arm… watch. I will show you.” And where there are frequently misunderstood techniques or where he sees frequent errors, he would say, “Many people do it like this but that is wrong. It should be like this!” and made sure we understood not only what we were supposed to do, but what we are NOT supposed to do. These learnings are what make face to face seminars so precious. We cannot learn such things with a video or book. We cannot fully benefit from the Grandmaster’s experience if we do not interact with him directly. 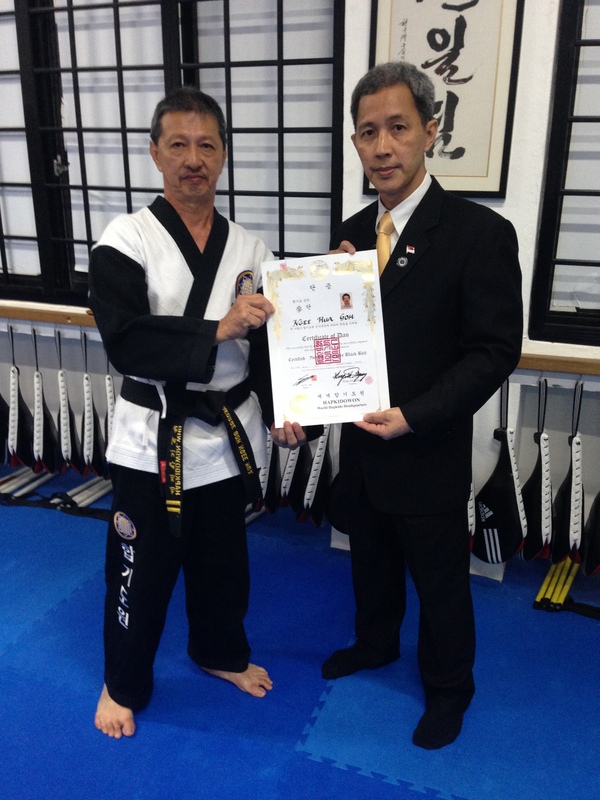 Another great benefit of attending a seminar is receiving positive feedback from the Grandmaster himself. “That is correct!” “Excellent! You are doing a great job!” – words of praise from the authority on the art is priceless in motivating even senior members. And Grandmaster Myung was very generous with his praise. In the course of the two days, I have learned a lot – not just technique, but principles as well. And as my training partner, Johanan Choo, was so patient and kind as well as diligent, we tried to understand and absorb the principles through physical trial and error as well as in our heads. “I won’t throw you. Let me try it again to feel the point where you lose your balance.” “Now it is your turn. Try it,” Johanan said repeatedly as we sought that moment when the opponent becomes weightless and throwing him effortless. Whenever I realized that I was throwing the slim Johanan by brute force, he would say, “That didn’t feel right. Let’s try it again.” When my hold was not firm enough, he would say, “You can lock me tighter. Do it again.” And he had a way of being thrown so magnificently, that when the Grandmaster witnessed it, he praised me by saying, “Excellent work! That is right!! !” – I think Johanan must be a great dancer. He is the kind of lead man that makes the lady he is leading look like an absolute genius. Further benefits of being at a two-day seminar are the opportunities to interact intensively with the Grandmaster outside of the dojang and to be able to ask him questions in a less formal setting. Learning about the age of his students inspired me anew. His oldest student is 65 years old. Furthermore, he has a student who was born with only one leg who has a very fierce kick! So much for using age or physical limitations as excuses for not training. “Also, Taekwon-Do, Aikido, Judo… they are all tiny parts of the very large universe that is martial arts. But Hapkido is very comprehensive. 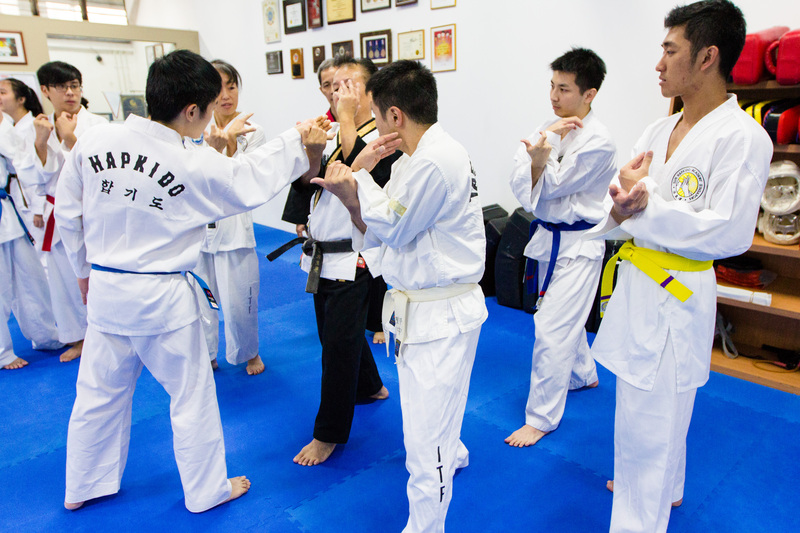 It covers many aspects of martial arts.” After the second day, I came to see for the first time how broad Hapkido is – the locks and throws are but only a small facet. There are punches, kicks, and even weapons training! The Grandmaster’s passion for the art and enthusiasm to teach the “correct” and “authentic” techniques that are not “for show” but “effective and practical” was limitless. He did not tire of speaking about the art and its benefits and what he teaches at Hapkidowon. 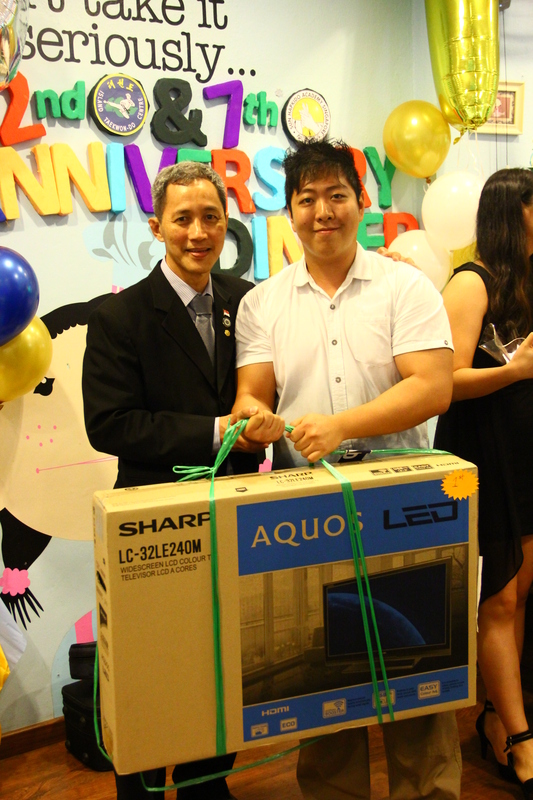 His kindness and generosity outside the dojang made it clear that he is genuine – none of it was for show or superficial. Even without his black belt and gold stripes, without insisting on anything, or even without a long history of training under him, I felt nothing but respect for him and humility in his presence. His enthusiasm for the art and sharing it was truly magnetic. Now that I am back in Japan, it seems nothing that was not hurting before the seminar is hurting. But I did discover a few new bruises on the side of my calves that I probably got from being thrown. Johanan was too gentle with me to leave grip marks on my wrists. I recall how friends were comparing bruises on arms at the Thank You Dinner, but how I had nothing to contribute. I would like to take this opportunity to once again thank Grandmaster Hong Sik Myung and Master Roe Min Myung for their patience, guidance, and enlightenment. Even one’s soul feels like it has been elevated to new levels when one is given the opportunity to encounter such beacons. 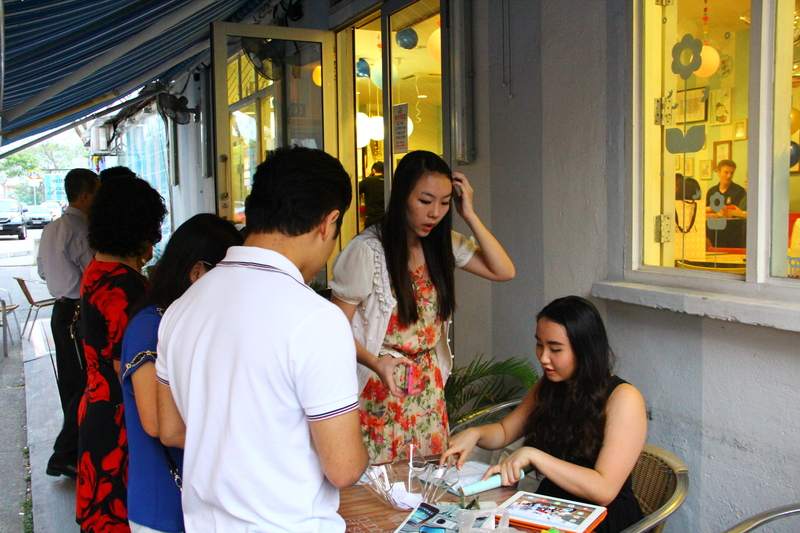 And the effect was magnified as we were also guided by the ever so generous in sharing and teaching Master Daniel Sng. 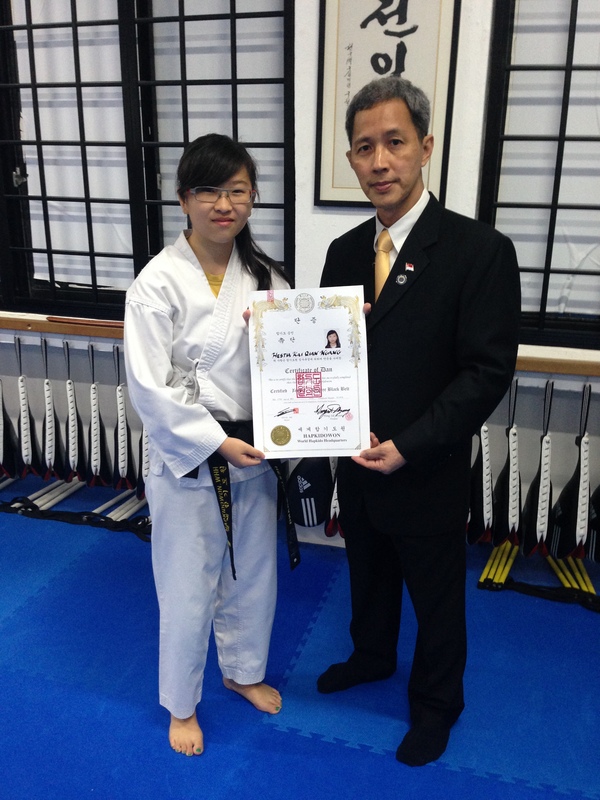 I am grateful beyond words for the opportunity for a novice to learn from Grandmaster Myung. Had the seminar been run by lesser men, I am sure the privilege of learning from the Grandmaster and interacting with him so freely would have been jealously protected behind closed doors or restricted to only the most senior students. Instead, I must say I have hardly ever seen a Grandmaster work so hard with autographing, posing for photos, and shaking hands with every single student on more than one occasion. Master Sng Sir has also been more than generous with his recognition of my “contribution” to the event – it was humbling to be allowed to sit in the front row with my white belt in the group photo; to be able to pose for photos with the Grandmaster for a “Japan Photo”; and to be honoured with engraved crystal etched for me to remember this event forever. I am grateful to the diligent and patient Jeremy Tan for organizing the event and patching up any glitches as soon as they pop up to make the overall ride very smooth for everyone. I do not know how he can be all smiles the whole time he was running around with very little sleep – but perhaps that is a clear sign that he is a far better student of the “do” in Hapkido than I am. 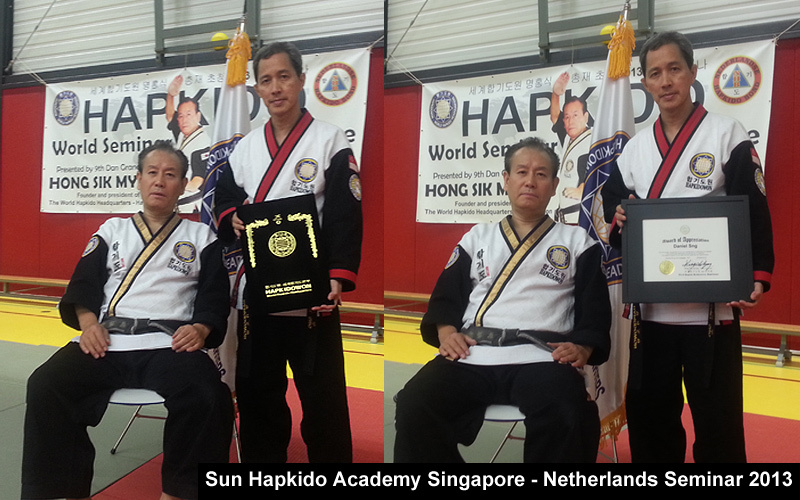 Last but not the least; once again, I would like to thank all my old friends at Sun Hapkido Academy Singapore. Some of you were very young boys and girls when I last trained with you. Now you are men and women, and you still treat me as warmly as a member of the family. Thank you also to all my new friends – your friendship has broadened my horizons and has given me an additional reason to keep training so that we can work together again. I had a really awesome weekend in Singapore!!! … and yes, I will be back! 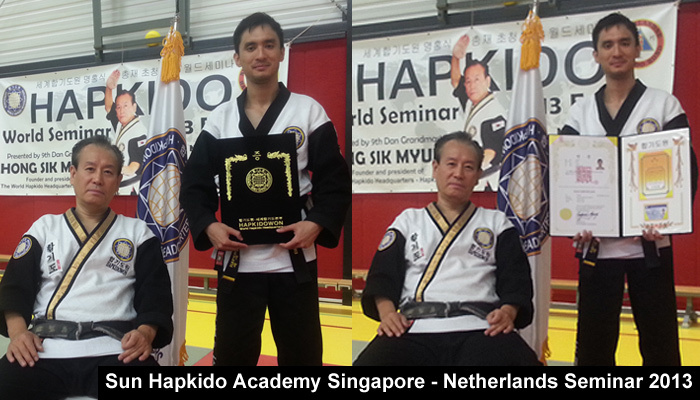 The Hapkido World Seminar 2014 Asia was held on October 4th and 5th at Sun Hapkido Academy Singapore (SHAS). The event was conducted by Grandmaster Hong Sik Myung, and his son, Secretary-General, Master Roe Min Myung from the United States. 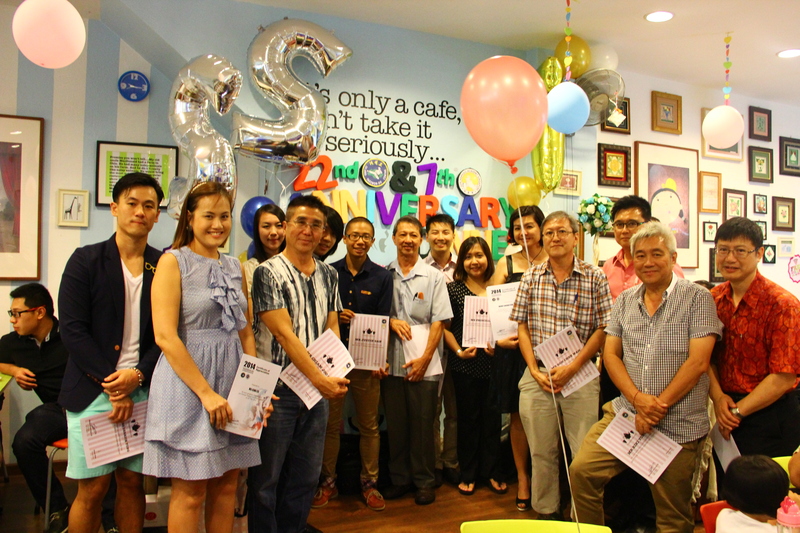 There were over 35 participants for the event, including overseas guests from Japan and the Netherlands. The distinguished guests were Master Martin Zingel (6th Degree Black Belt) & his son, Mr. Marwin Zingel from the Netherlands, Mr. Kenichi Nonaka & Ms. Jules Takagishi (Taekwon-Do practitioners) from Japan, and Mr. Riki Young from Shitoryu Karate Singapore. This was the first time that SHAS has organised the seminar with Grandmaster Myung, and also my first time attending a Hapkido seminar. On the first day, the Grandmaster was esteemed with an energetic lion dance followed by brief speeches by Master Daniel Sng (President of SHAS) and Grandmaster Myung. At first impression, the Grandmaster came across as a patriarchal figure, patient and passionate; “A man who is willing to impart and impart” mused Mr. Chiam. 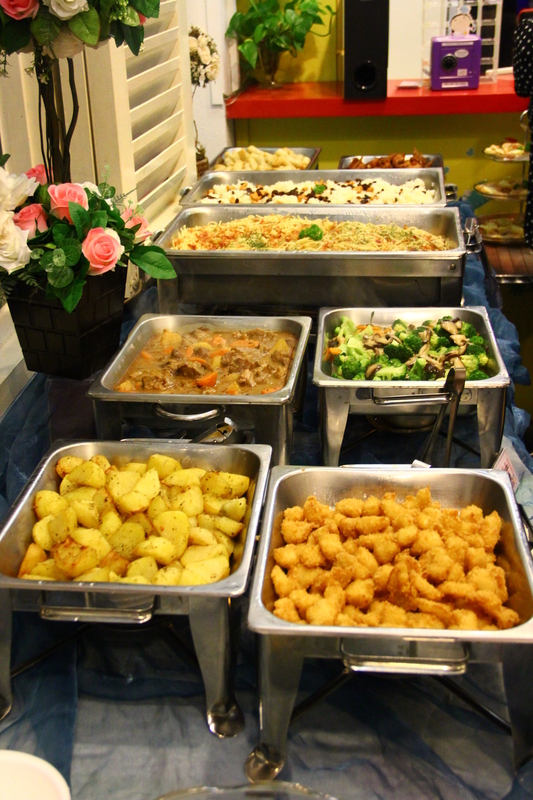 After that, we lined up and looked our best as we posed for group photographs. Each day was typically split into two sessions, morning and afternoon, sundered by a two-hour lunch break, and a shorter 10 minute break in each session. We began each session with light warm up, which was a combination of stretching exercises, jumping and dynamic leg exercises. During the morning session on the first day, Grandmaster Myung addressed the Danjun Ho (breathing exercise). He highlighted that the Danjun Ho should be done with focus and slowly, allowing the “qi” or energy to sink down to the abdomen and slowly breathing out. He added that doing this properly was one of the important components in Hapkido. 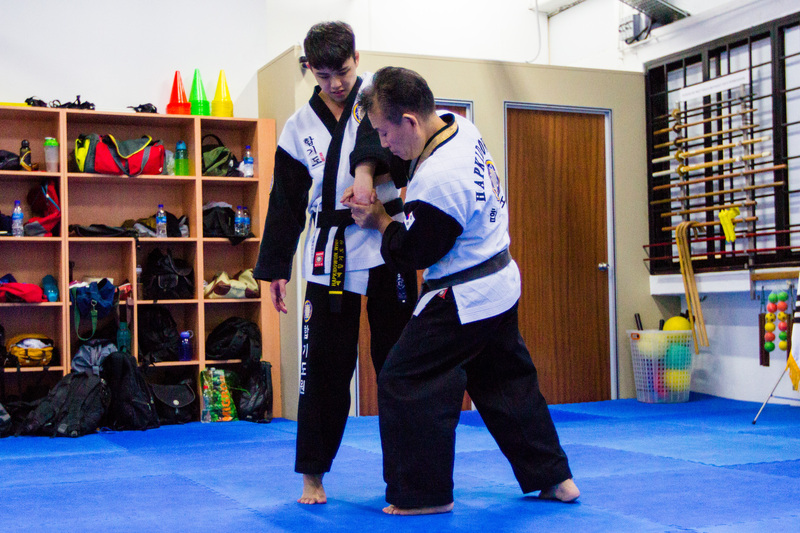 Throughout the sessions, Grandmaster Myung demonstrated a myriad of techniques before dismissing us to practise them with a partner. These techniques emphasized on practicality as well as precision in the execution. They involved the grabbing of the wrists, grabbing of the lower, middle and upper sleeves, and the collar too. 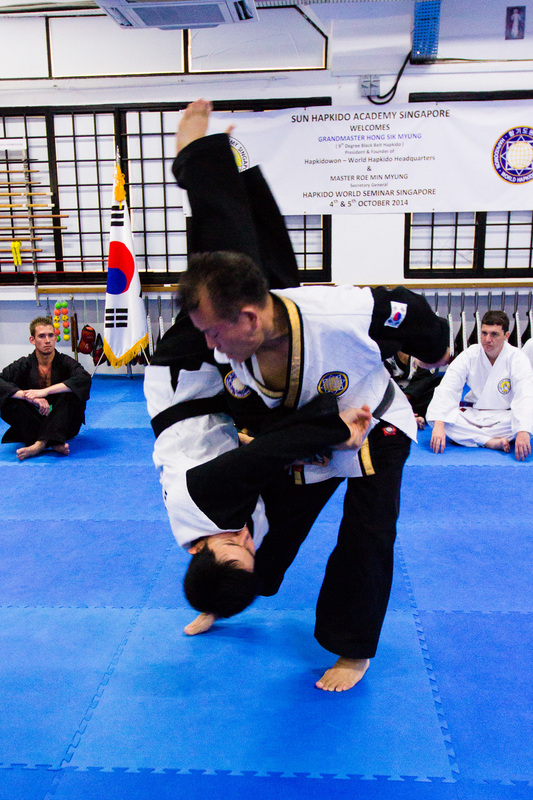 One important aspect that Grandmaster Myung pointed out was that, the techniques were an end to itself in Hapkidowon. He commented that occasionally techniques were tainted with variations that were unnecessary. 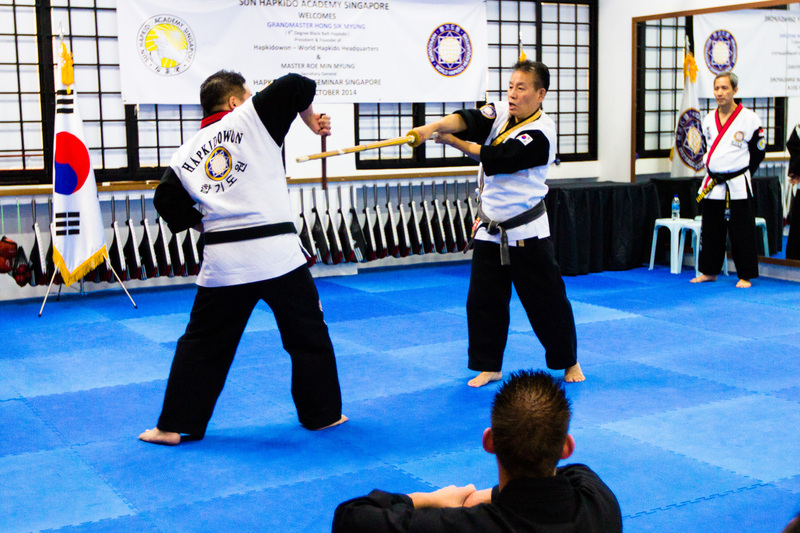 Towards the end of the second day, Grandmaster Myung and his son demonstrated sparring with Dan Bong (short stick), and a bamboo sword, much to the delight of the participants. By the end of the two-day seminar, although everyone was exhausted, and had sores and bruises, there was an aura of gratification. We were rewarded with an invaluable wealth of knowledge and a more tangible diploma certificate presented by the Grandmaster. Perhaps the more momentous occasions were the privileged autograph session followed by individual photographs taken with Grandmaster Myung and his son. 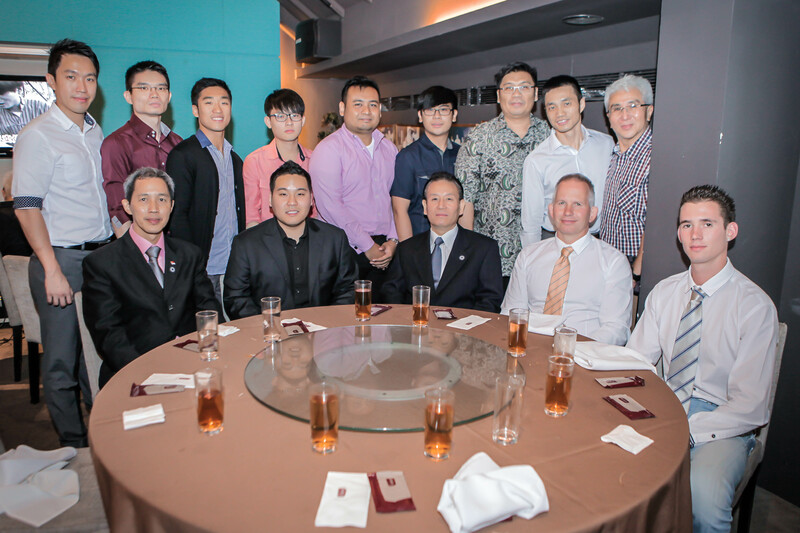 The eventful seminar was concluded by a dinner, which saw a contrasting sight of refreshed faces paired with the donning of smart suits and elegant dresses, at Spring Court Restaurant. 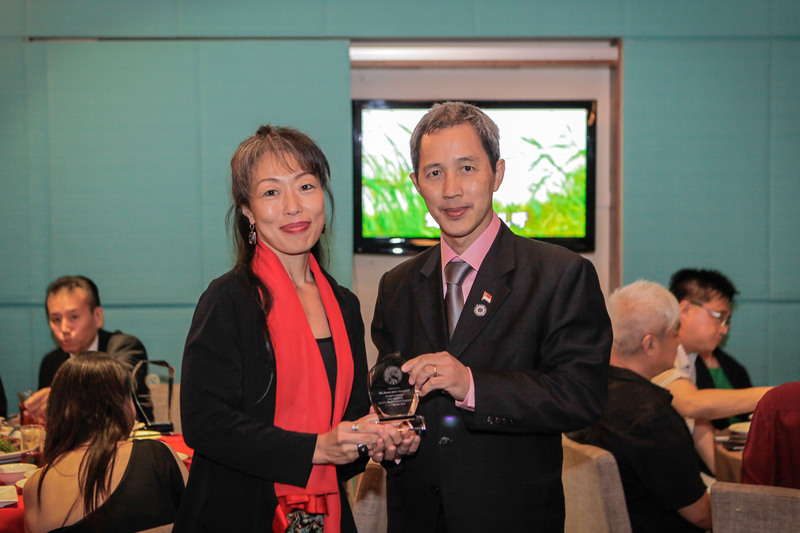 The nine course meal was interspersed with presentations of appreciation plaques, gift exchanges with the foreign guests and performances. 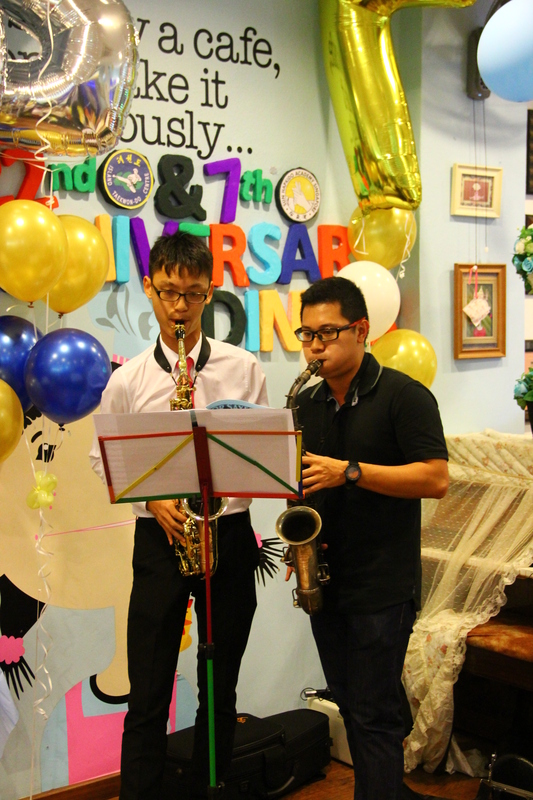 The crowd was bowled over by the powerful vocals of Sijian and Kartik, who displayed their flair in four songs, in Korean, Mandarin, Japanese and English. Each song, as Sijian explained, is related to martial arts. For example, the song I Believe, which he sang in Korean and Mandarin relates to the belief in oneself to move forward despite difficulties. 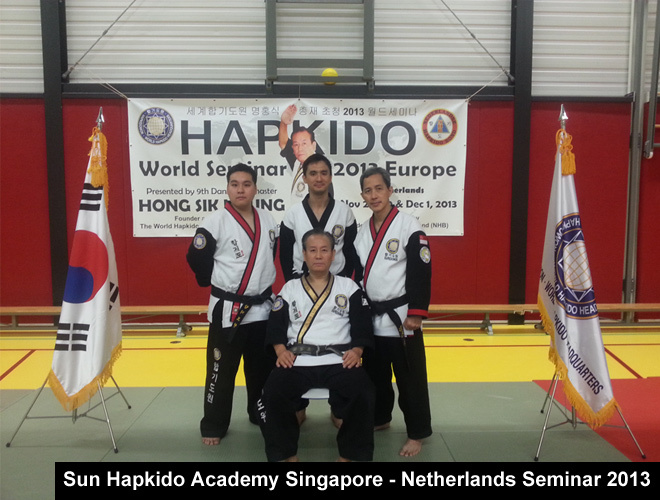 You are cordially invited to the World Hapkido Seminar 2014 Singapore to be held on the 4th & 5th October 2014 hosted by Sun Hapkido Academy Singapore. To sign up for the seminar or if you have any enquiries, please contact my Events Coordinator, Mr. Jeremy Tan at jertrials@gmail.com. Thank you once again and looking forward to your visit!